Shane is a director of Element Energy. He brings multi-disciplinary engineering design skills to the practice. His expertise on energy and the built environment had its origins at Max Fordhams Engineers, after which he led the Sustainability and Renewables group at engineering consultants Whitby Bird. 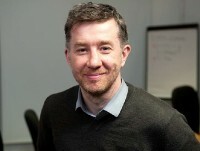 Shane has responsibility for business development, and project coordination and reviews. He also provides technical input into the development of the services we offer, including: Carbon Capture and Storage; Computational Fluid Dynamics; electronic tools to streamline energy strategies in the built environment; site energy assessments and energy legislation compliance; and technical due diligence.